Current Version: 1.8 – Download here. # Fixed path for PCLI 6.5 ..\Infrastructure\PowerCLI\..
#-Removed almost all of the extra PCLI verbose messages – Thanks @carlwebster!! 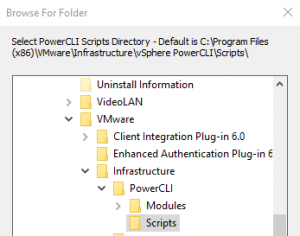 Announcing the VMware vSphere PowerShell Documentation Script! In previous deployments of VMware products (and many other products, really), I had used a few tools to generate some form of documentation, but for the most part, the end customer deliverable was completed by hand. Enter Carl Webster and his XenApp documentation script. 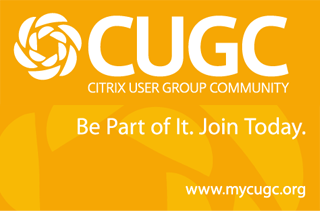 All it required was the XenApp SDK and voila! A beautifully formatted Word document that outlined the entire XenApp farm – all by running a single PowerShell script. All of my past scripting had been in VBScript, and I knew that times were changing and everything was going the way of PowerShell – change is difficult. I forced myself to try to learn a bit of PowerShell here and there, but didn’t quite have it down like I wanted to. I was looking for an opportunity to solidify my PowerShell knowledge and get away from that “archaic” VBScript – this is that opportunity. Carl not only provided the ‘Webster Documentation Framework’ that this script uses but has been a HUGE help in getting this done – not to mention the several others that helped with the Framework itself. That being said, this script will be housed on carlwebster.com in the documentation scripts repository. I will tell you that there is a TON of information, configuration, and settings found in vCenter, the hosts, datastores, networks, VMs…the list goes on. This documentation is what I and others feel are a good collection of settings that are important and need to be documented. I’m sure there are more – and if you’d like for them to be added to the script, just leave a comment! If you run the script from a workstation and user account that has remote registry permissions to a Windows vCenter server, the DSN will be included in the report. The VSA does not have this capability currently. The VMware Inventory script is stored in Carl Webster’s documentation script repository – http://carlwebster.com/where-to-get-copies-of-the-documentation-scripts/ There are a ton of other scripts to document Citrix XenApp, Microsoft DHCP, and many others. Excellent script! As someone who doesn’t have the Powershell chops you possess I have found it difficult to keep up to date with documentation. This is a life saver. I do have one problem though. The Virtual Machine Port Groups comes out empty no matter what I do. 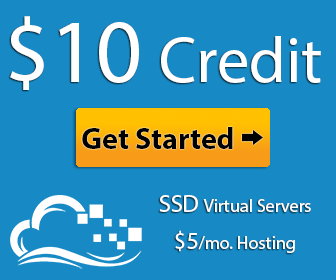 I’m using ESXi 5.5, vCenter on level, PS4 and Word 2013. The information is in the .xml file but doesn’t get transferred into the report document. Any ideas I could look at to fix it? Let me take a look at it real quick – I may ask you to send the exported XML files or run a few commands. I’ll get back to you. Thanks for the feedback! Only thing is that it does not work with PowerCLI 6.5 R1 because it won’t recognize this version and just exit out telling you that PowerCLI is not installed. Seems to work fine with PowerCLI 6.3 R1. If you are having issues with PowerCLI 6.5R1, please read the note at the top of this page and use the -PCLICustom parameter with the script. Could there be an option to add the CDP/LLDP properties for each vnic on the hosts, and to also add the IP Addresses for each of the VMs? Thank you for the effort you put into this, this script is somehow what I was looking for. Yet I’m unable to execute it properly because after ~40 seconds the execution stops. I know I don’t have Word installed on the machine, so this wouldn’t work as well as generating a PDF file. Nevertheless I believe that the above error message doesn’t have anything to do with this. Really great script . . . I would like to use it with a scheduled Task and this also works as long that I use the Output as Text or HTML. I I’m using PDF or MSWord it never Ends, it starts WinWord.exe and then the Task runs forever. It seems, that I’m not able to use this script togehter with WinWord. unfortunately the script isn´t working with the new “PowerCLI in Powershell Gallery” thingy. Would be really nice to get that working again. Hi Jacob, do you have a timeline for this update? Looking forward to it. Thanks! Version 1.8 is now available – it will work with PCLI installed from PoSH Gallery as well as PCLI 6.5R1 and later. Really amazing script . . .
Is it possible to add more information? Is it possible to gather data from a specific datacenter or Cluster rather then have the complete vCenter scanned?